We have been learning about measurement. 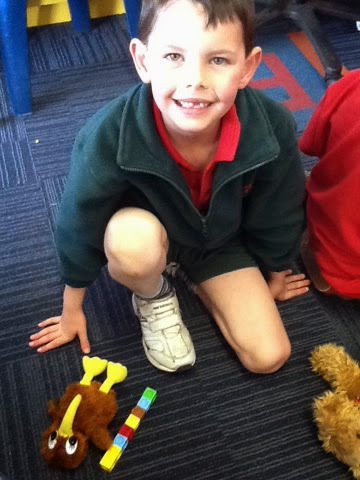 Here I am measuring my Teddy Bear using blocks. We also looked at rulers for measuring things as well as hands and feet.